If you own a Kobo Arc tablet it is urgently due for a long-overdue software security upgrade. Kobo sends you emails when it is time to do an upgrade, but you may have missed that message or forgotten to download the security patch. There are also some Kobo Mini e-readers that need the patch. So if you use a Kobo, you’ll want to check to see if your device is affected by this new alert. You can visit the Kobo website help page and follow the instructions to download any applicable updates that may be available for your device. Without staying current on your software security updates, there is a risk that your device will no longer function as you expect it to. Your Kobo Arc may not be able to complete a factory reset procedure, for example. You may recall that last year we issued a head’s up warning that Barnes and Noble was upgrading its security on most of its Nook e-readers. If you didn’t download the security update or patch in time, then you would no longer be able to use features on the Nook device that required an internet connection. That meant important things like buying e-books or downloading your Nook content. What is happening now with some older versions of Kobo e-readers is similar. Don’t panic. But you do want to do the download in order to get important security protections and to avoid having to do a manual software patch. If you have to do a manual update, download the Kobo app to your desktop and then go into the “Settings” area and click on “About,” then “Systems Updates.” Or you can do this manually just as a precaution, to check and see if an update is due. If it is, then there should be a message in the Systems Update section of your Settings asking you to complete the update process. You’ll need to have a Wi-Fi connection or to do the update through the Kobo app. These updates are intended to help your device run smoother, faster, and more securely. If you were an early fan of Kobo you may own a device called the Kobo Wi-Fi, one of the first products Kobo ever made. They’ve been around now for a decade, and Kobo is going to stop issuing software updates for them. That means that if you have one of these vintage models, soon it will no longer connect to the Kobo bookstore. Rest assured that you won’t lose the books you already bought. They’ll still be in your Kobo library. But Kobo is phasing-out tech support for the old Kobo Wi-Fi. The good news is that you can replace your outdated e-reader with a waterproof Kindle Paperwhite on sale for a limited time at 23 percent off the regular price. This e-reader is the thinnest, lightest Kindle Paperwhite and has a glare-free display and an adjustable light. Plus it is Bluetooth compatible with special Amazon Audible technology. Amazon has not said how long the sale will last, but normally the price is $129.99. Act soon as you can get your new Paperwhite for only $99.99. To increase your savings, you can buy the Amazon Paperwhite Essentials Bundle which packages the e-reader with some cool and very essential accessories. You get an 8 GB Paperwhite with Wi-Fi capability and a handsome leather cover, plus a power adapter. The bundle normally costs $189.97. But now it’s on sale for just $139.97. You save $50, which is more than a 25 percent discount. 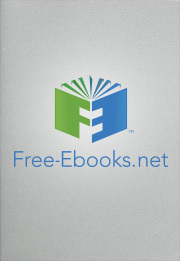 Imagine how many new e-books you can buy with the extra 50 bucks you pocket. Of course you could also splurge and buy the love of your life a dozen roses for Valentine’s Day. It’s a tough choice, isn’t it? But you could always give them a few roses and a few new e-books…problem solved!